50 Cent once again pulled Nicki Minaj into his ongoing feud with Meek Mill. The “Outta Control” rapper slammed Minaj’s boyfriend during his concert at B.B. King’s Blues Club in New York City Saturday night. While 50 Cent continues taking shots at Mill, the “House Party” rapper is reigniting his feud with rival Drake. Over the weekend, the feud between Drake and Mill heated up after the two rappers continued their diss tracks. Drake released his latest new single, “Summer Sixteen” late Saturday, following which Mill dropped the second installment of his “4/4” mixtape during Saturday’s stream of OVO Sound Radio. In “Summer Sixteen,” Drake hinted that he checked into the same hotel as Mill when he dropped the diss track “Back to Back,” according to reports. Mill later took to his Instagram account to slam the Canadian rapper over his latest track, suggesting that Drake’s alleged ghostwriter, Quentin Miller, leaked the lyrics of the latest track to him. You can watch the video from 50 Cent's concert here. 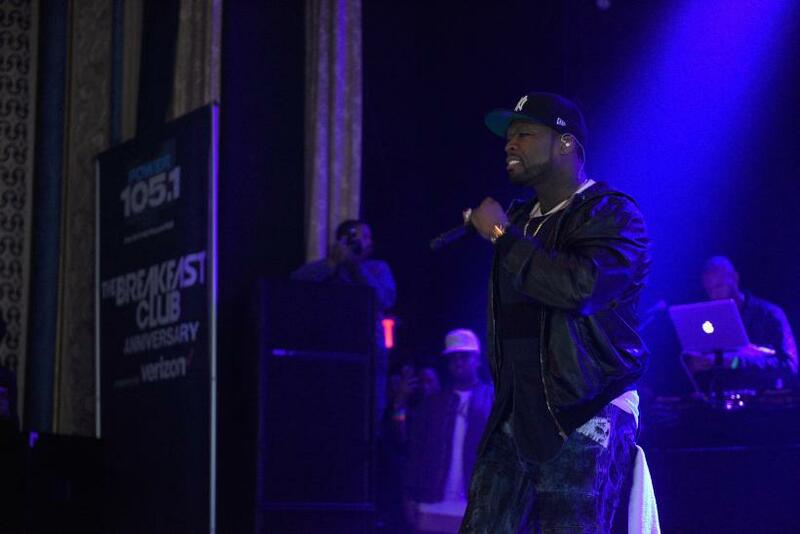 Is 50 Cent's Instagram Post Dissing Meek Mill?